Tags Posts tagged with "friend sympathy messages"
Writing a sympathy message for a friend can be even harder than doing so for someone you know less well. You will feel more of a connection to them and the pain they are suffering. So finding the right words to show your compassion and understanding can be hard. If you are struggling to come up with words for your friend in their time of need then use one of the condolence messages below. They can either give you an idea of what to say or you can just copy the one that you feel represents what you want to say the best. 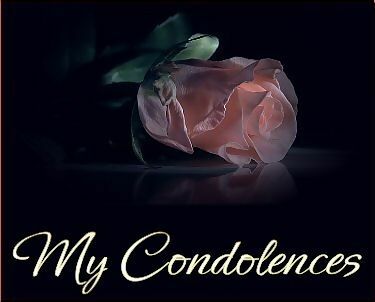 For you my friend, I offer all my condolence wishes for the untimely loss of your close friend. I pray to the Lord to bless you with the strength to cope up with the loss.